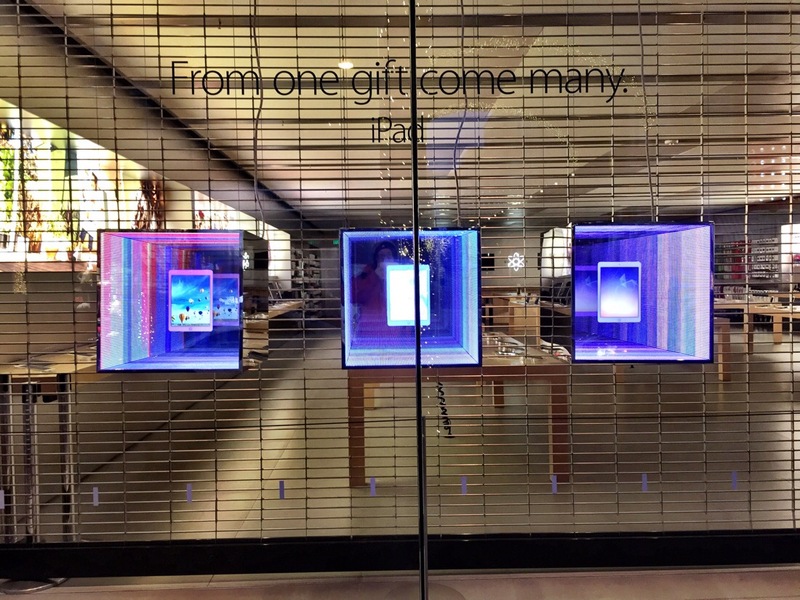 It’s Holiday time again and the window at the Apple Store has been updated. 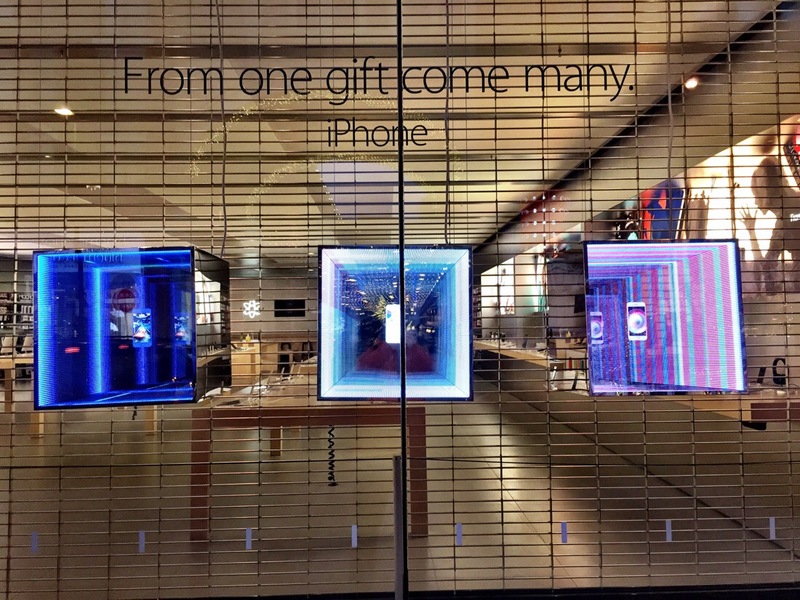 This year it’s magical boxes with floating iPhones and iPads. What you don’t see are the Mac Minis running the graphics.